I know this stress very well. Family always comes first and do take good care of yourself! 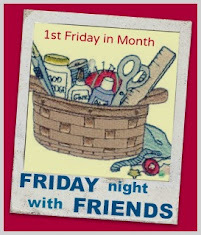 Some friends are coming over to sew tonight and we will laugh and sew and be thankful for the stress-free moments that quilting brings us! A stressful and trying time for you and your family. Take care....try and get a roster going for the hospital run to ease the burden on all. Sorry to hear about your FIL... take care. I went ahead and had my own friDAY sew in...lol... but will join in again next week too. That's really no problem! Real life is always first and I hope, everything will be well until Christmas! I admit, I also didn't thought about it, because my husband nearly broke his arm and now I will have to manage much more beside work and work is stressful because of Christmas. Oh, Wendy. Take care of family .....and yourself. I hope things get better for you soon. Between this and Christmas, you should just cancel it for this month. We'll all survive! You have more important things to think about. Hugs to you.